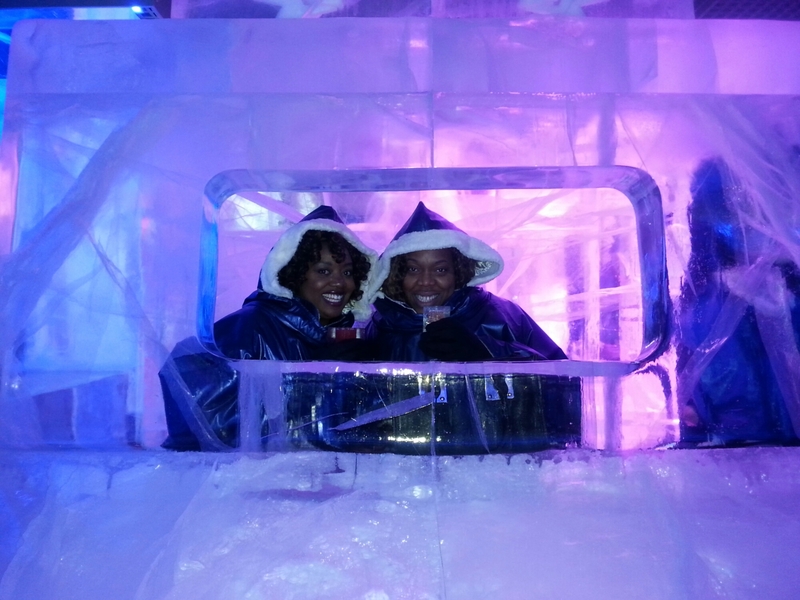 So after months of belting out “HERE I STAAAAAND… AND HERE I STAY” at every opportunity, you can imagine my excitement at hearing about Ice Bar London. I checked out the spiel on their website: “a cold sensory experience where the walls, bar, tables and even your own personal glass are made from crystal clear Torne River ice which is harvested from the pristine winter wonderland of Jukkasjarvi in Northern Sweden.” Well, spank my tush and call me Sally! Just the other day I was saying how I needed more Jukkasjarvi in my life. So without further delay, my gal pal Miss Fufu and I trotted down to see what all the fuss was about. Upon arrival, a nice young man in a sharp suit checked our tickets and whisked us into an orderly queue. Another nice young man handed us a cocktail menu (your first cocktail is included in the entry price YAY). When we got to the head of the queue, yet another nice young man expertly threw a fur-lined cape over our clothes. So guys, this is when I lost all my behaviour and home training. Those capes are EVERYTHING! I felt like Ivana Trump boarding a private jet, dahling. 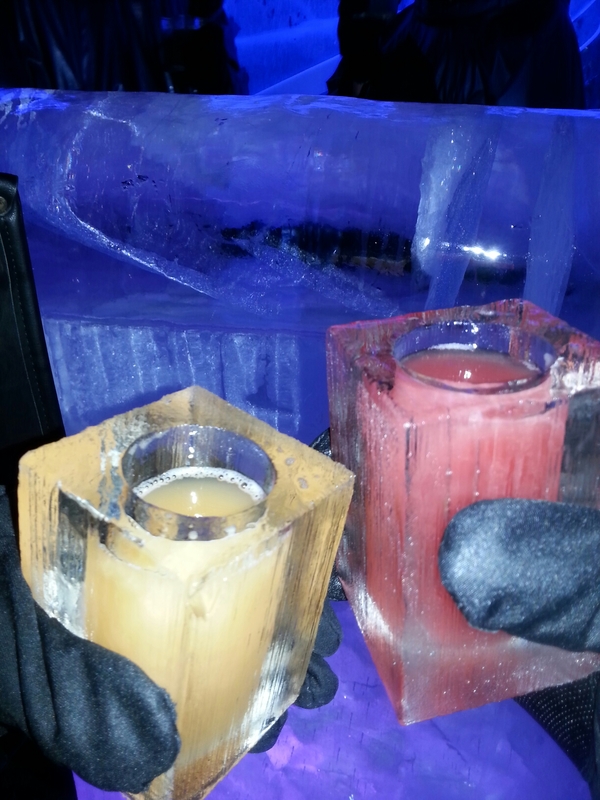 We sashayed into the Ice Bar, and I was enchanted. It was absolutely stunning. 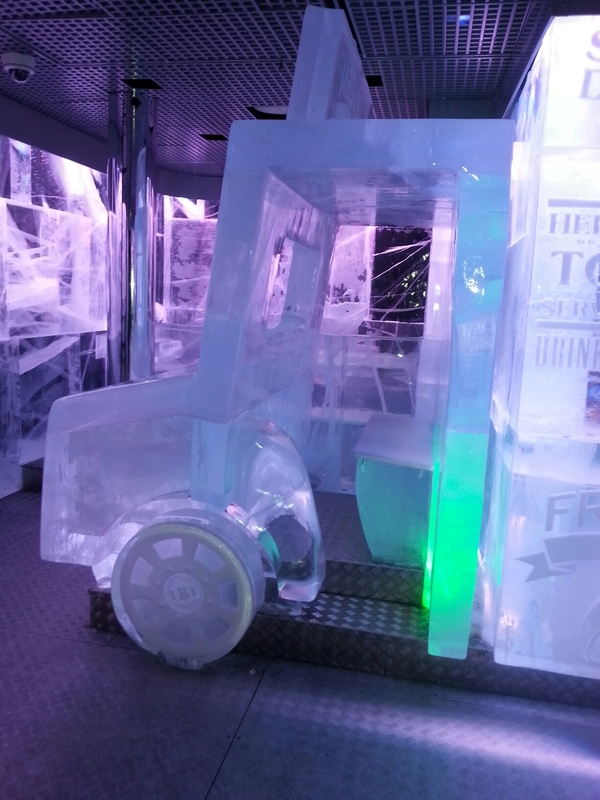 Like being inside a glacier, with absolutely everything carved out of ice. The lighting was gorgeous too- pulsating blues, purples and greens. 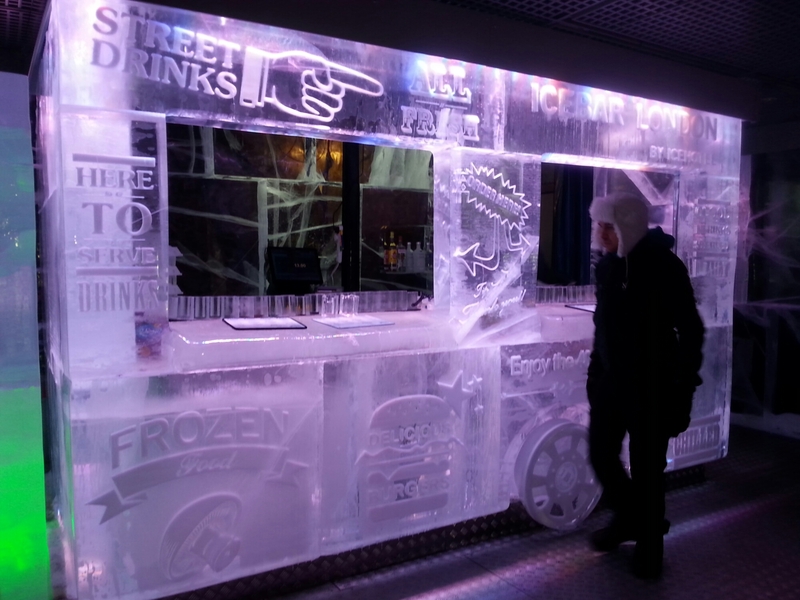 We immediately headed over to the ice truck that serves as the bar, and hopped into the front to survey the area. 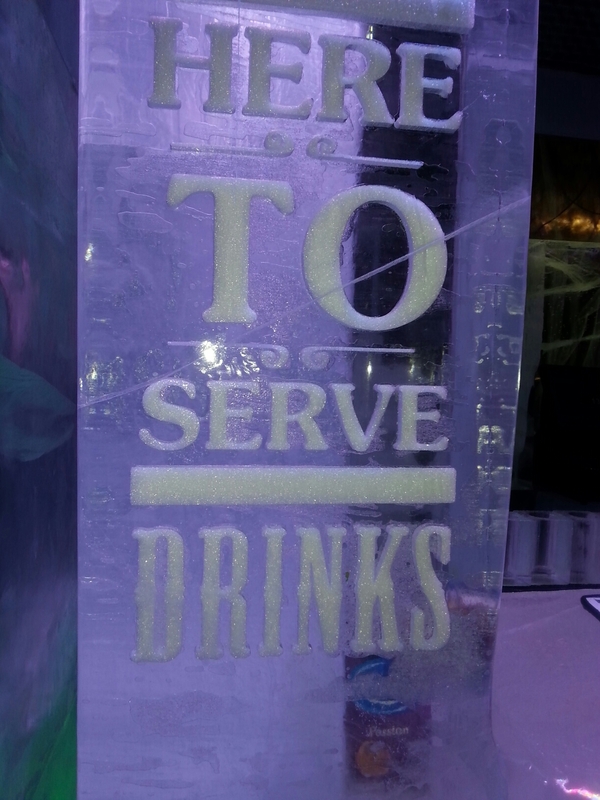 There were small tables to lean on, corner booths… all made of ice. We were particularly taken by our cocktail glasses! I loved that the fierce cape came with gloves attached. No frostbite. 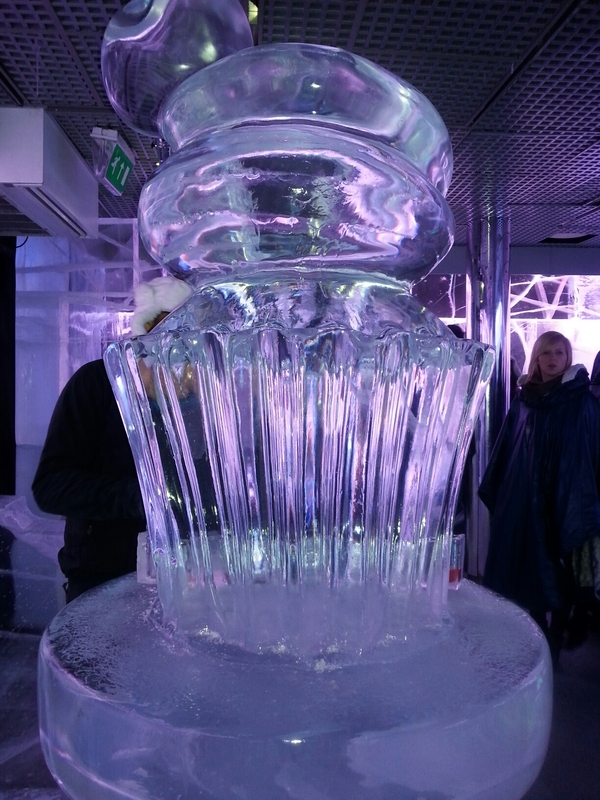 There were also some incredible ice sculptures, including a giant cupcake. I was dying to lick it, but I knew Miss Fufu would leave me stuck there. 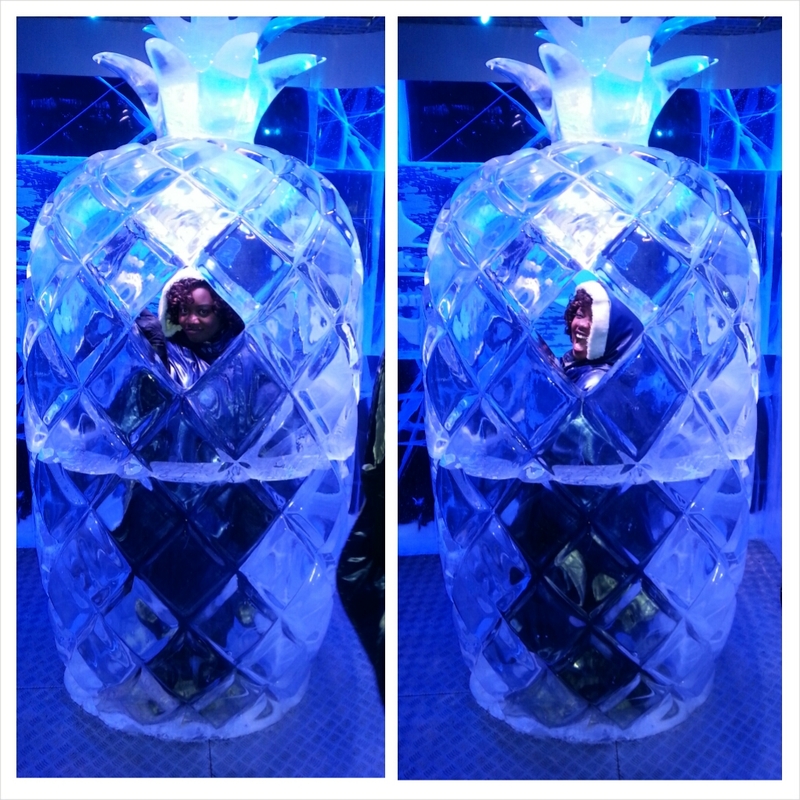 There was also a huge hollow pineapple that you could stand in. Good clean fun. 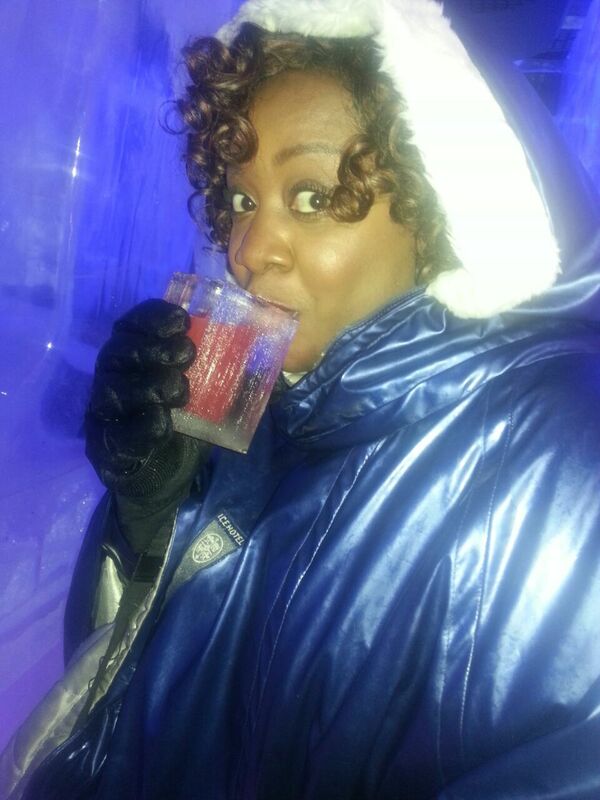 So your ticket gets you a 40 minute session in the Ice Bar. You sip your cocktail, enjoy the funky music, and then either head over to the in-house restaurant or step out to continue your evening! The vibe in there was nice and buzzy but not too overcrowded. What I loved most was the pure, childlike joy you saw in all the faces. Even the investment bankers (I saw you guys). I think this would be a great little pre-dinner activity with friends, or even a unique icebreaker (you see what I did there) on a first date. Just think of the snuggling opportunities! So bottoms up, sweethearts! Do you wanna build a snowman? Or nah? Monday to Thursday 3.30pm – 10.15pm, Friday 2.45pm – 11.45pm, Saturday 11.45am – 12.30am, Sunday 2pm – 10.15pm. Exclusive champagne sessions available Friday and Saturday 7.15pm. How much: Standard Tickets £13 – £16, depending on day of the week. Upgraded Tickets £17 – £20. Champagne session Tickets £24 (treat yo’self). Previous Previous post: Christmas OOTD!